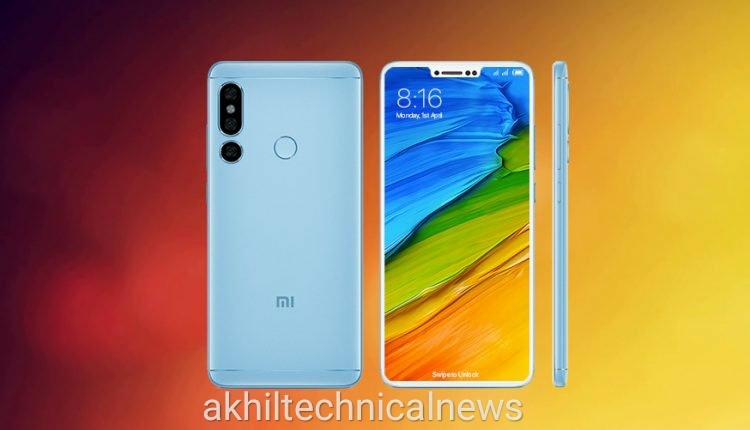 Xiaomi Redmi Note 7 Pro See the smartphone first and know its specifications. A Xiaomi smartphone with an M1901F9T model number is listed on the Chinese certification site TENAA. Due to Tina Certification, the specifications of this phone of xiaomi have been revealed. The name of the handset has not been disclosed, but it is being speculated that it will be a variant of xiaomi Redmi 7 series, possibly Xiaomi Redmi 7 Pro. It is worth noting that in the last week, the Shomi Redmi 7 series got 3C certification. If we talk about the memory of this phone then it can be given 3 GB RAM. Also 32 GB internal storage can be given. Snapdragon 710 processors can be given in this smartphone. This smartphone works on Android P Talk about this phone's battery, it can be given 4200 mAh battery. It is clear from TENAA listings that this smartphone will come with the Nokia display, like the Redmi 6 Pro However, this phone of Xiaomi will be Waterdrop Knotch. If this is seen then this is in the naval days. The listing has revealed that this smartphone has a 5.84-inch display. It is expected that the screen will be equipped with full-HD + resolution and 19: 9 aspect ratios. The listing specifies 147.76 × 71.89 × 7.8 mm dimension. The phone will run on the MUI 10 based on Android. But it is not clear what is the version of Android. Apart from this, this phone is equipped with dual rear camera setup. It will be equipped with Artificial Intelligence. On the other hand, Shomei's upcoming smartphone got certification from China Compulsory Certificate (3C). Redmi 7A, Redmi 7 and Redmi 7 Pro smartphones can be lowered under the Redmi 7 series. 3C listings show that the new Shoomy smartphones will come with 5V / 2A charging (10 watts) support. Three models are listed in the listing M1901F7E, M1901F7T, and M1901F7C. These three models can be the Redmi 7 Series Redmi 7A, Redmi 7 and Redmi 7 Pro. Seeing shared screenshots shows that the Xiaomi Shyomi handset got 3C certification on November 29.